Singapore is a city that is filled with superstructure buildings that seem to reach the clouds. What’s more, there are loads of things to see and do in the big city of Singapore. 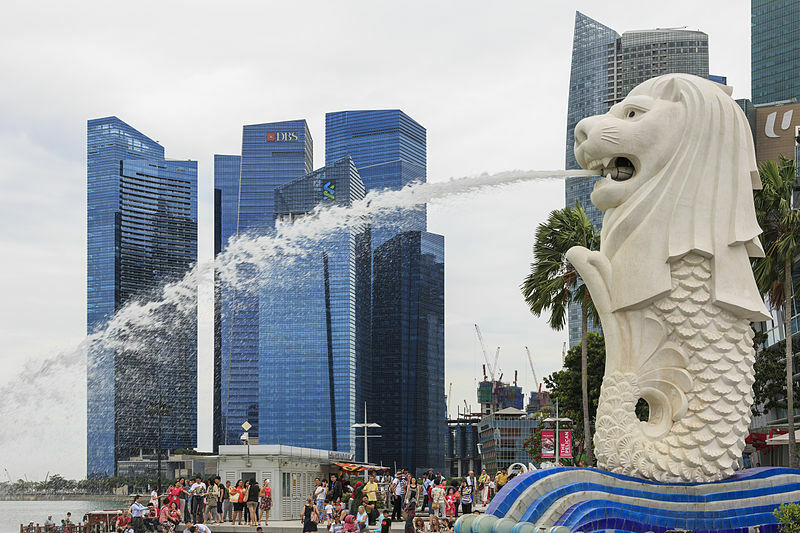 One of the ‘must visits’ is none other than the Merlion Park in the midst of the impressive buildings. Singapore’s Merlion has a deep meaning to its appearance. The fish tail of the icon symbolizes the city’s beginnings as a fishing village that used to be known as Temasek (which means ‘sea town’). The lion’s head denotes the original name of the city which is ‘Singapura’, this translates to ‘lion city’. Today, one can marvel at the magnificent structure of the Merlion that happens to be 8.6 meters tall weighing 70 tons. The Merlion Park is located opposite the Marina Bay and the Esplanade Theatre. There is a small jetty constructed a few meters away from the statue creating the perfect spot for some creative pictures. Make your best pose with the water sprouting Merlion and continue to capture the memories of your travel to Singapore! Keep snapping! sparkle in the sunlight during the day. Even by night, the bay is an absolute vision, especially the view of the lit-up city that shines and twinkles with colourful lights. The Merlion too glows brightly in the evening atmosphere. Cruise across the Marina Bay from Merlion park in a restored bumboat. The gently rocking boat will take you passing more landmarks such as the Boat Quay and Clarke Quay that rim the riverside of Singapore. Most of all enjoy the picturesque scene of the metropolitan splendor of the wondrous city! The park located a few minutes away Ascott the Residence, make a beeline here and make many Singapore memories!